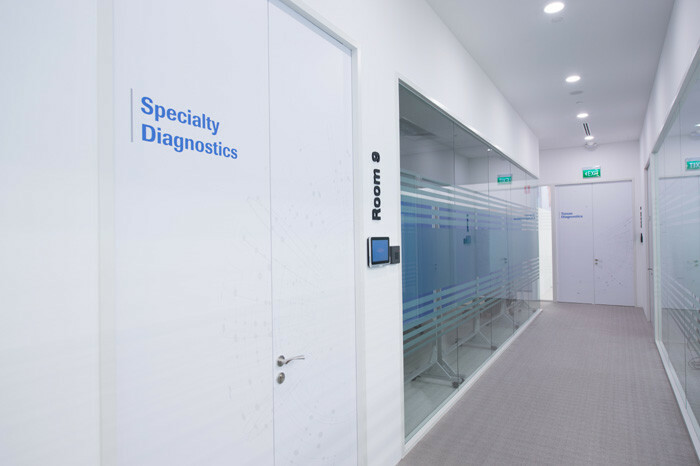 When Roche Diagnostics moved to its new office last year, it had specific objectives in mind – to create a positive, interactive and open working environment for its 230 staff based in Singapore. 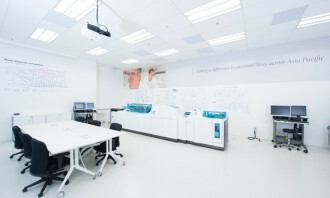 At the same time, the office area was also designed to have flexibility to open up meeting rooms next to the pantry/ dining area where events such as lunch-&-learn, charity events and socials are held. 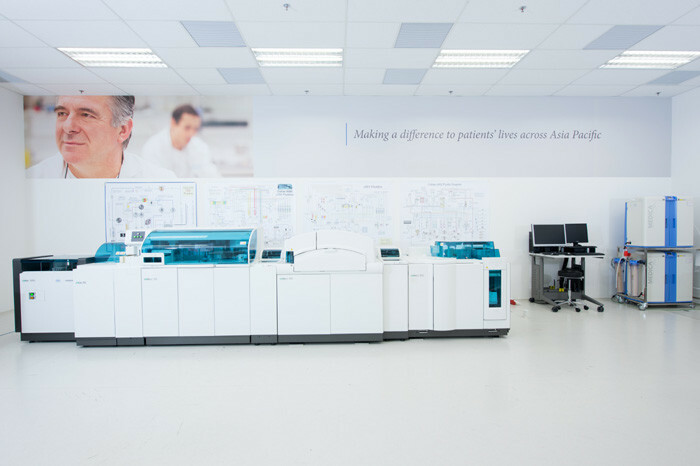 As a world leader in In-Vitro Diagnostics – which are tests performed on patients’ tissue samples, blood or other fluids, Roche Diagnostics provides innovative tests and solutions that will improve people’s lives and some can even save lives. 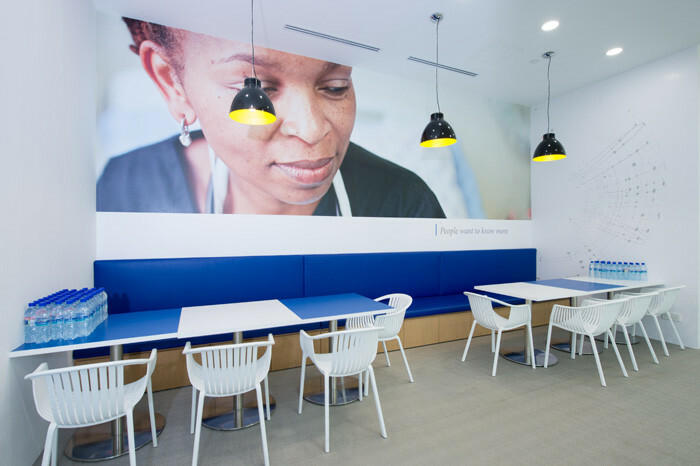 “We want our employees to remember the purpose of their work and our office environment reflects this. 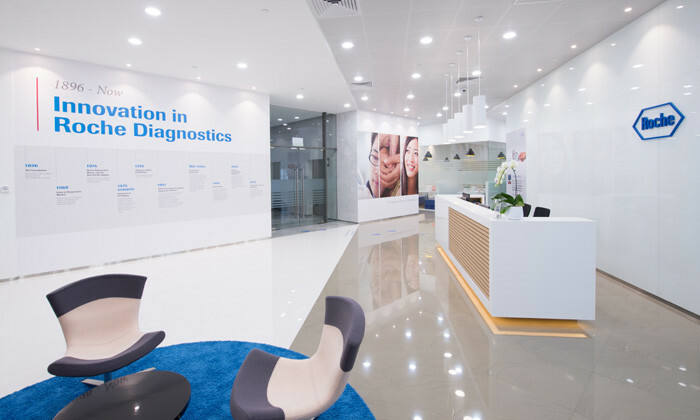 For example wall graphics help to deliver the message and remind employees about the importance of our work and that we can make a difference to peoples’ lives,” Goh said. 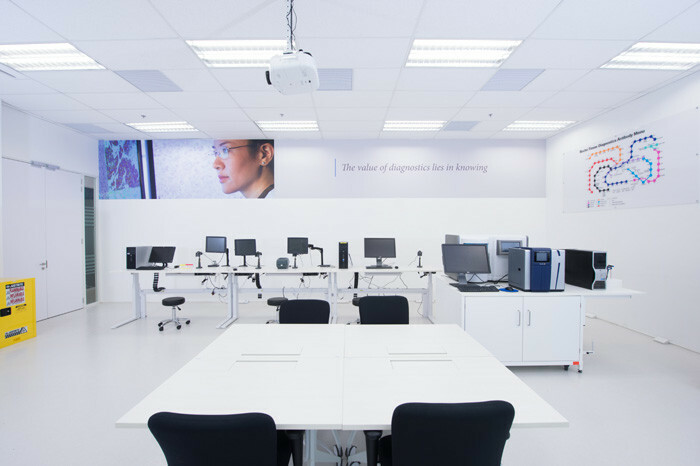 Located on the office floor, Roche Diagnostics’ Centre of Excellence allows its engineers and technicians to have easy access to its systems and the lab area whenever they need it to run tests and demonstrations to ensure optimal trainings and service support. 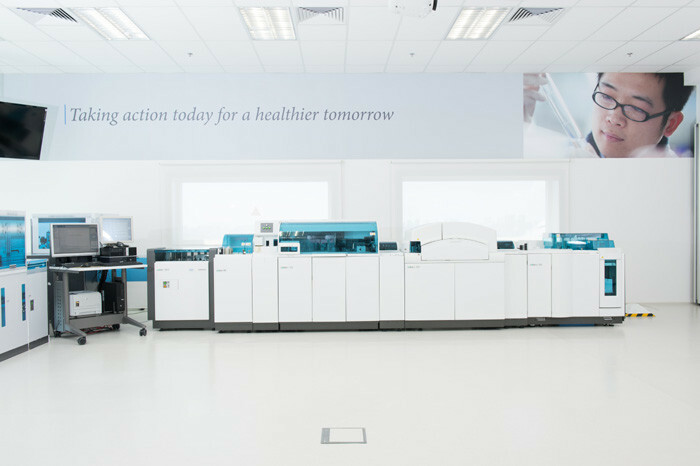 The Centre of Excellence also gives Roche Diagnostics the opportunity to be “better hosts for internal and external partners allowing us to show them our solutions which also signals that we embrace an open dialogue,” Goh pointed out. 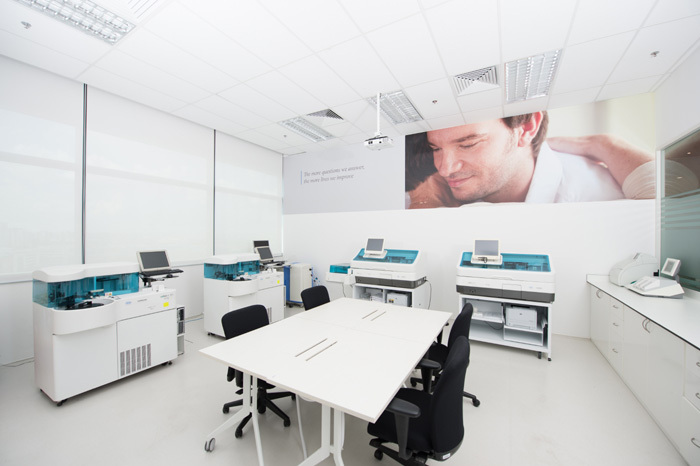 The office’s open space also helps to create a more open environment, helping to improve productivity. “People seem to be more approachable if you see them sitting at the desk rather than in an office. 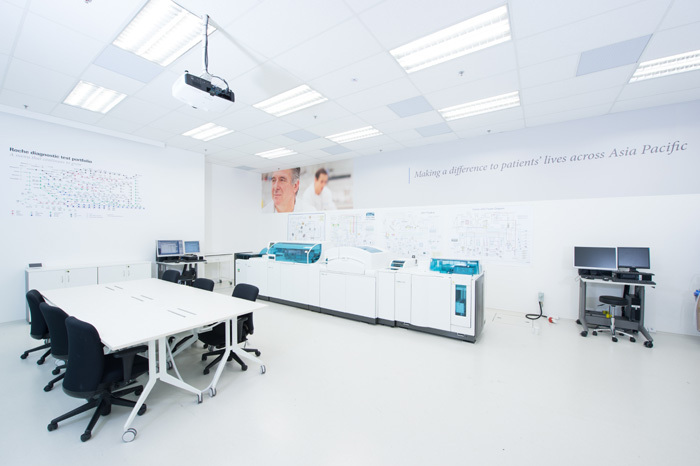 People just walk over to their colleagues’ desks for brief discussions which can help to quickly align approaches and business projects,” Goh said. 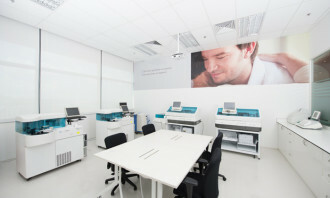 Another way to improve productivity in our office space is considering workspace movement, Goh noted. “Sitting at a desk for longer than four hours a day can cause stiffness, back pain and muscular problems. “We now have ergonomically designed chairs and height adjustable desks which allow sitting or standing making the workspace more flexible depending on an employee’s needs,” she added. 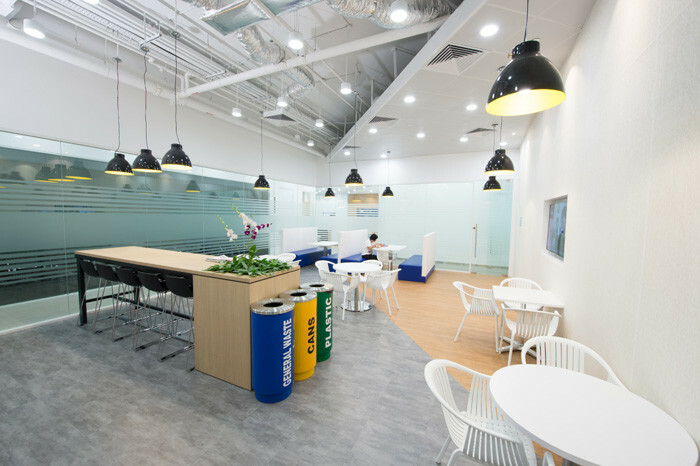 When it comes to redecorating an office, Goh highlighted that it depends on the needs of the respective working environment which should be analysed and identified in first place. “What works for us might not work for other companies,” she said. 90% employee satisfaction score on social initiatives and a four-fold increase in volunteers - CSR is not just a feel-good strateg.. Learn With Facebook平台上的課程包括「Ace Your Interview」及「Manage Your Content Marketing」等內容。..